The Moms' Group that saved Heidi Elliott's sanity has gone on hiatus, as have any ideas about dropping the weight (in all the wrong places) and keeping the curves (in all the right ones). In their place, the Friday Strut-n-Stroll provides, if nothing else, two miles of adult company and the outside chance to use polysyllabic words. As much as she has loved being home for Nora's first steps, words, and forays into makeup artistry, Heidi misses working, not to mention money for pedicures. And her husband, Jake, seems increasingly worried about their dwindling bank balance. 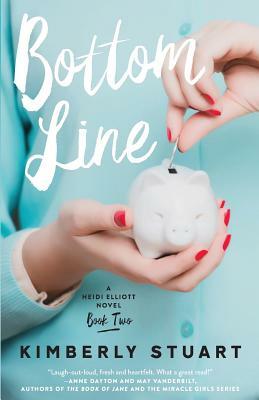 So when the beautiful Kylie Zimmerman, with a wave of her multi-carat-laden fingers, dangles the chance to become part of a "life-enhancing, woman-affirming business opportunity," Heidi takes the bait. After all, what does she have to lose?